According to Greg Makuch, an 18-year proprietor of a Canadian hosting service web company, blogging has become a very important means of marketing products and services these days. Along with that, it is also effective for building your niche in the marketplace. Out of the many blogging platforms out there, WordPress has made a name for itself as being a very reliable and highly customizable means of creating an SEO-friendly blog. Make sure that your meta information is correct for the best search engine optimization. 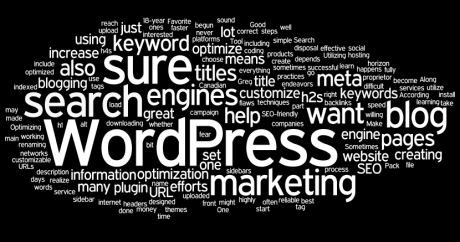 WordPress is set to a default for meta titles that is not fully optimized for search engines. By downloading the All in One SEO Pack plugin for WordPress it is simple to customize all the meta titles so that they include the keywords you are marketing right up front. Be sure to check the headers you are using. While most of the time, WordPress themes are well-designed, some do have flaws in the tags’ coding. Be sure that yours only has one h1 on your blog title. Then again, you will also want to be sure that entry titles are the only ones that utilize h2s. The h2s should not be on your sidebar though, and this sometimes happens in the WordPress designs. On the sidebars you only want to have them set at h4s and below. You may not realize it but you can customize your URLs. When you have a keyword-rich URL you have done an awful lot to optimize your website for the search engines, so be sure that you choose a URL for your posts that has your main keyword or words. You might want to install the WP-Super Cache plugin on your WordPress blog to increase the speed at which your pages load. This will allow your pages to be indexed more often and show up on the results pages of searches faster. Before you upload images be sure to optimize them for the search engines by renaming the file including your keywords. After you have uploaded them be sure to go in and use this same keyword for your title, description, and alt tag. Optimizing your WordPress blog is just one step in creating a marketing campaign that is successful with the search engines, but this is a great start. Utilizing other efforts such as working with the social networks (social media marketing), and other SEO marketing techniques that will create backlinks to your blog and website are all part of effectively using everything at your disposal. Sometimes all of this can sound a bit difficult for those who have just begun the process, but never fear there is help on the horizon. There is a lot of information on the Internet which can help you to learn all of these practices, but there are also many great companies out there that are more than willing to do this work for you. It all depends on whether or not you want to spend the money or are more interested in learning how to market yourself. About the author: Greg Makuch is the owner of whatevercomputes.com, a web hosting and WHM host services reseller company.